We're taking wet plate portraits as part of Chorlton Arts Festival. 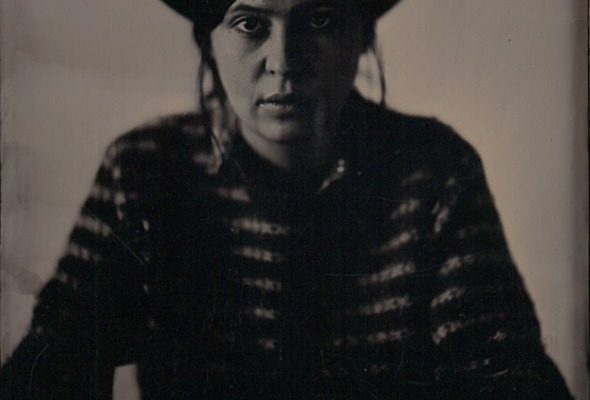 As part of Chorlton Arts Festival, we will be taking wet plate portraits for this two-day event on Saturday May 24th and Sunday May 25th organised by Michele Selway in a pop-up shop on Chorlton High Road. Chorlton Arts Festival is one of the UK’s leading multi-arts festivals. Now in its 14th year, the festival showcases local and national talent in music, comedy, visual arts, performance and more, working with over 30 venues in Chorlton. There will be lots of fantastic stuff to enjoy at the festival, including music, art, performance and this fun event at the old barbecue meat shop. So please drop by for tea, cake, vintage clothes, art prints and of course… making metal and glass plates with large format Victorian cameras! Props available. Fancy dress optional.